FLEXA furniture is made for children. 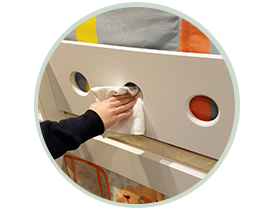 We check every single detail carefully so you can rest assured that your child’s bedroom is safe. To ensure that our products serve your child for years and years to come, we recommend you follow these easy maintenance instructions. FLEXA furniture is surface-treated with UV lacquer several times to give it an optimal and elegant finish. 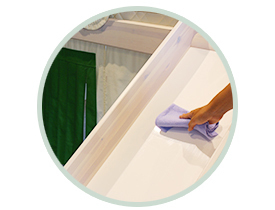 Wipe the dust away and clean with a damp cloth. 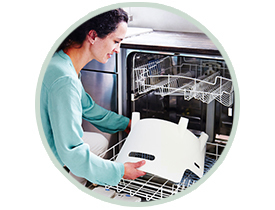 To remove more obstinate dirt, use a sponge dipped in household detergent. 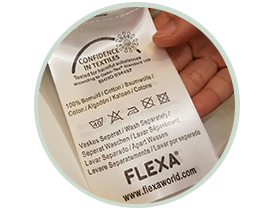 Remember to wipe the details of the FLEXA products too. For optimal maintenance, DO NOT use solvents and dilutions. Why not convert a FLEXA mid-high bed into a playground? Just add a slide. Children like to use it throughout the day – with or without shoes on. 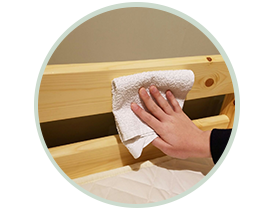 To remove scuff marks, wipe with a damp cloth. FLEXA slides are made of hardwearing plastic. They are durable and look good as new for years. All FLEXA textile are 100% satin cotton with Oeko-Tex Standard 100 certified and free from harmful substances. 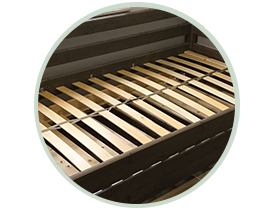 We recommend use cold water and hand wash.
To prolong the life of your FLEXA products and ensure your child’s safety and comfort, screws, bolts and slat belt should be tightened from time to time. FLEXA Baby high chair seat is very easy to clean. Just put it in the dishwasher and it will be good as new and ready for another food party. For more details of Terms and Condition, please click here. Complete our online form or find the telephone number and email to contact us.